Confession: As a home improvement writer, I make liberal use of home improvement guides. It's necessary: the world of home remodeling is just too big for me to know everything. So, I have developed a library of the best home improvement guides, and this is to your benefit. I have encountered some real gems--and real stinkers--along the way. Permit me to separate the good from the bad. I promise these will save you money along the way, too. Nearly every Black and Decker home improvement guide (from Creative Publishing) is a winner. I highly recommend any of their speciality guides, such as their Guide to Finishing Basements or their electrical guides. Some truly weighty tomes, like The Complete Photo Guide to Home Improvement are, I find, just a little too complete: the jack of all trades, master of none syndrome. All Black and Decker guides feature crisp, professional graphics. Nash's book is a classic home improvement guide, and it supplies lots of those down-and-dirty, messy details that you don't find in slick websites or even in the Black and Decker guides. Here it's more "how to jack up a house" than "how to install laminate flooring." Indispensible if you own a really old house. Truth be told, I get the Nash (above) and this Litchfield guide mixed up all the time. Both mainly have black and white photography or line drawings; both concentrate on "classic" renovation (such as renovating a wooden floor rather than covering it over); both have dense text. Yet, like the Nash guide, this one is mandatory if you own a pre-21st century house. Kia Ricchi's Avoiding the Con in Construction isn't a multi-purpose, how-to, DIY home improvement guide. For that, check out the Black and Decker series. Instead, this is a Book of Truth that tackles the meaty stuff that few other books do: permits, insurance, inspection, proposals, contracts, contractor qualifications, and so on. Looking for lots of pretty pictures? You won't find them here. 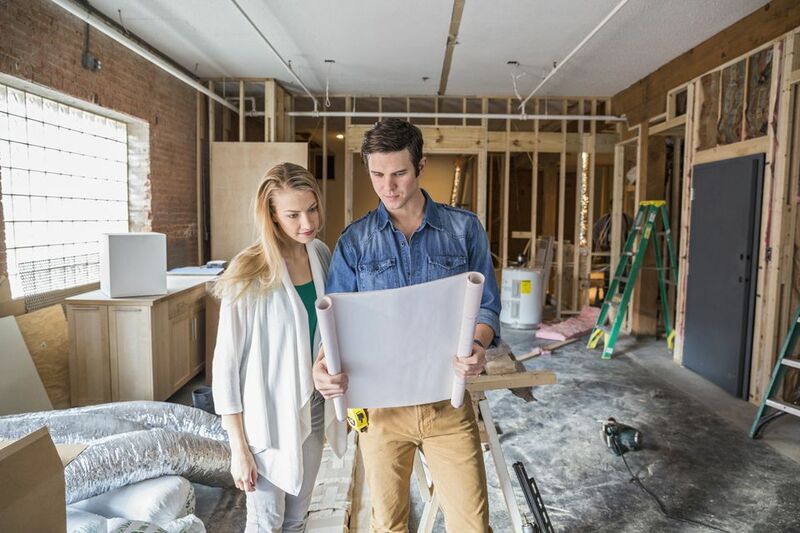 But you will find the stuff that cuts deep to the core of the homeowner-contractor relationship. CostHelper targets costs of everything--not just home improvement-related services and products. But it does extensively cover home improvement within its Home and Garden section. When CostHelper first appeared on the scene, it began with high ideals: well-researched cost estimates, no outside influences tipping these estimates in any direction. I am glad to see that CostHelper is still following through on its mission. CostHelper is probably the best cost guide out there. Bruce Maki's Hammerzone is the real deal--a banana-yellow no frills website dispensing free home improvement advice. Bruce leads you patiently through difficult step-by-step topics like refinishing wood floors, installing ceramic tile, framing, and installing windows. Bookmark this site if you ever plan to remodel a house. Easy2DIY.com is one site I really love. I am always amazed at Easy2DIY's crisp, artful How-To tutorials. Instead of filming actors or real people on location, this site does something quite different: they animate the project and add audio narrative. These How-To tutorials can be watched straight through like a movie or accessed by individual step. Step-by-step text instructions are included. Easy2DIY.com has been slipping from Google rankings, so don't count on finding it in a search: be sure to bookmark this site and keep it as part of your library of free home improvement guides.